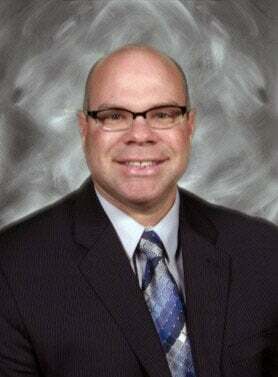 COLDWATER — Jason Wood, principal of Franklin-Monroe High School, has accepted the position of superintendent at Coldwater Exempted Village Schools in Mercer County. Wood, 43, will officially become superintendent beginning July 1, though he is currently spending time becoming acquainted with the Coldwater administrative staff. He replaces Rich Seas, who will take over as superintendent of Adams County/Ohio Valley school district. Wood has been principal at Franklin-Monroe since 2008. Wood likened the good qualities of Coldwater with those of Franklin-Monroe, noting the “community support” evident in both school districts. Despite accepting the new job further north, Wood emphasized that he would miss the people at Franklin-Monroe. “There is such a great staff and kids at F-M,” he said. He describes everyone at Coldwater as being “very welcoming, helpful and kind” during the transition period. Wood and his wife, Mandi are seeking to either buy or build a home in Coldwater. Their son Jace, 9, will enroll in 4th grade at Coldwater Elementary this fall. The Franklin-Monroe school district is currently in the process of interviewing candidates for the open principal’s position.